Little is known about Elim except two things: 1. There were 70 date palms and 12 springs of water. 2. 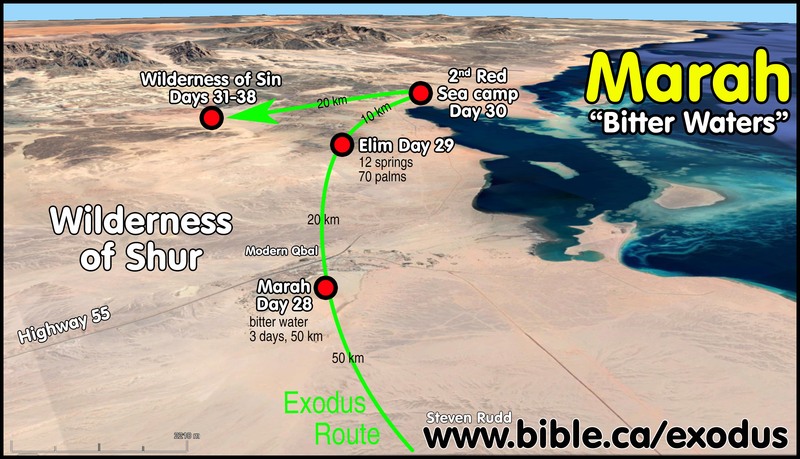 The wilderness of Sin was located between Elim and Sinai. 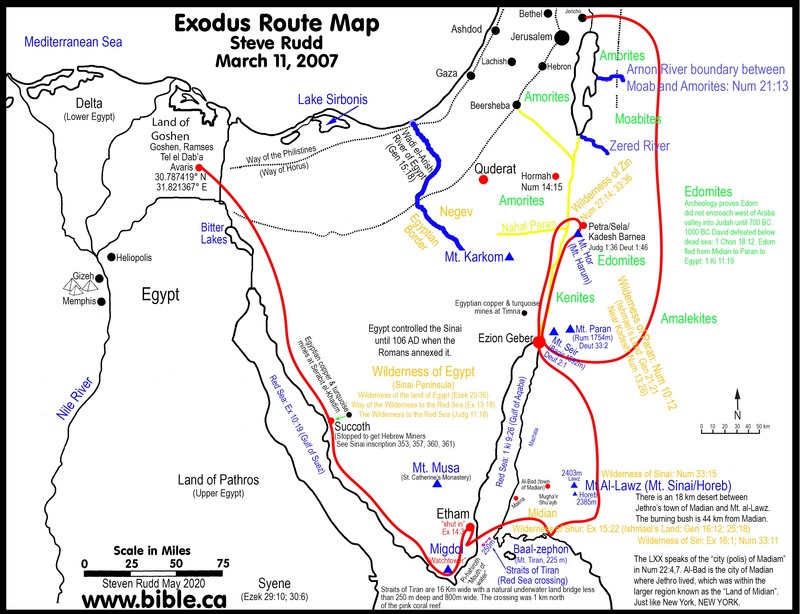 Based upon Ex 16:1, geographically Elim should be located halfway between the mountains and the Red Sea on the same side the Mt. Sinai as both the wilderness of Sin and the wilderness of Sinai. This is deduced because the next stop is the Red Sea camp and the previous stop went 3 days inland away from the Red Sea, towards the mountains. If they have hovered near the Red Sea coast for the first four days after crossing the Red Sea, the "camp by the Red Sea" would make no sense. Every indication is that before they reached the Red Sea camp after Elim, they were inland, so as to be not camping near the Red Sea. 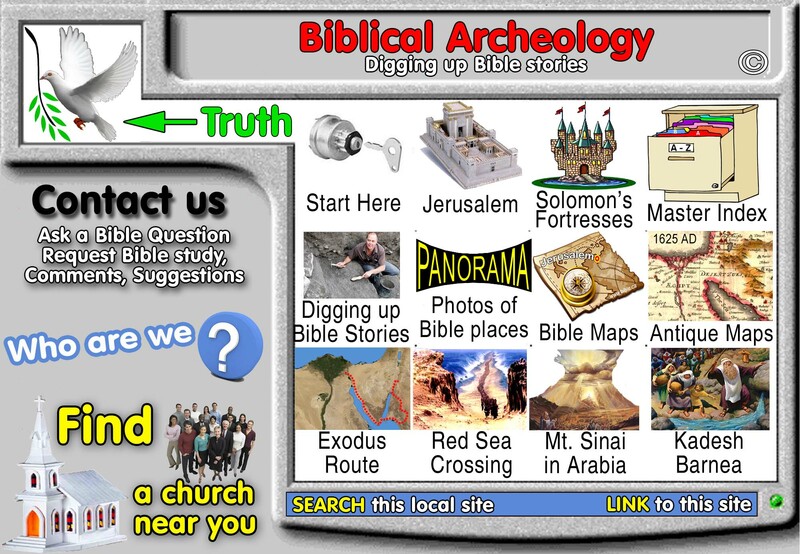 Elim must be a significant location because it is used as a reference marker to locate "the Wilderness of Sin which is between Elim and Sinai". The wilderness of sin is divided like two lungs on either side of a valley rift. Israel camped in the eastern of these two area. 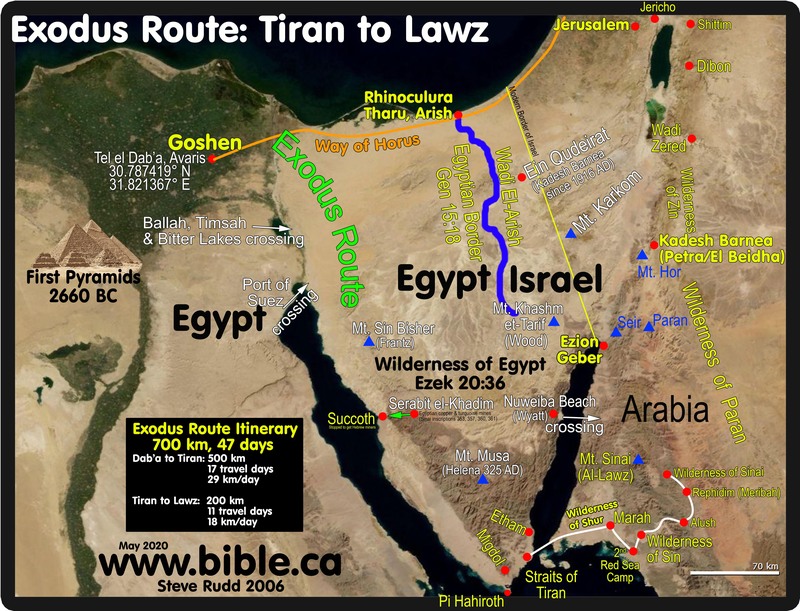 When you look at both halves of the wilderness of Sin, you find that it is indeed, in direct line of sight between Elim and the Wilderness of Sinai. 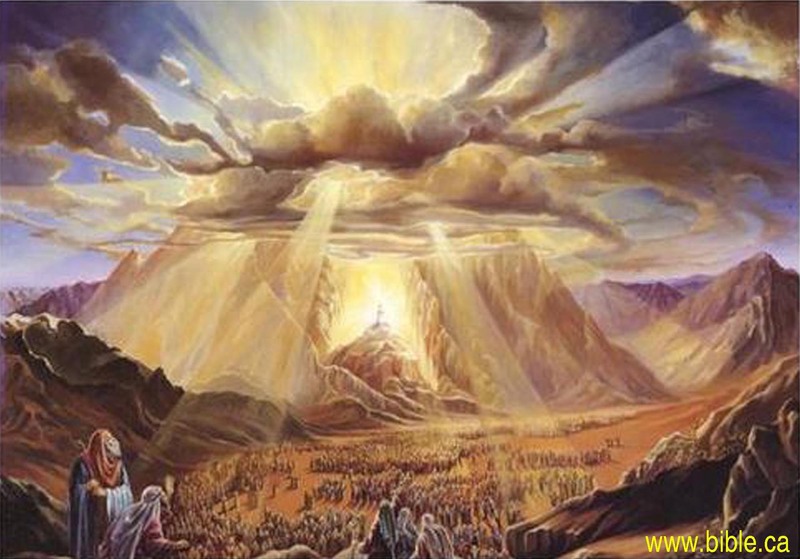 Elim, the wilderness of Sin and the Wilderness of Sinai must all be on the same side of the mountain range. This would be a Thursday, day 4 from the Red Sea crossing. Elim is 15 km from Marah. Here is the terrain looking towards the Wilderness of Sin. Here is the exodus route from Marah to Dophkah. 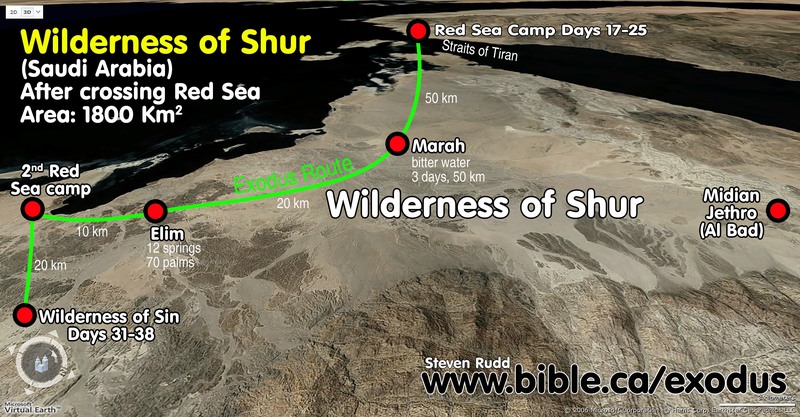 Here is an aerial view of the wilderness of Shur and the exodus route. 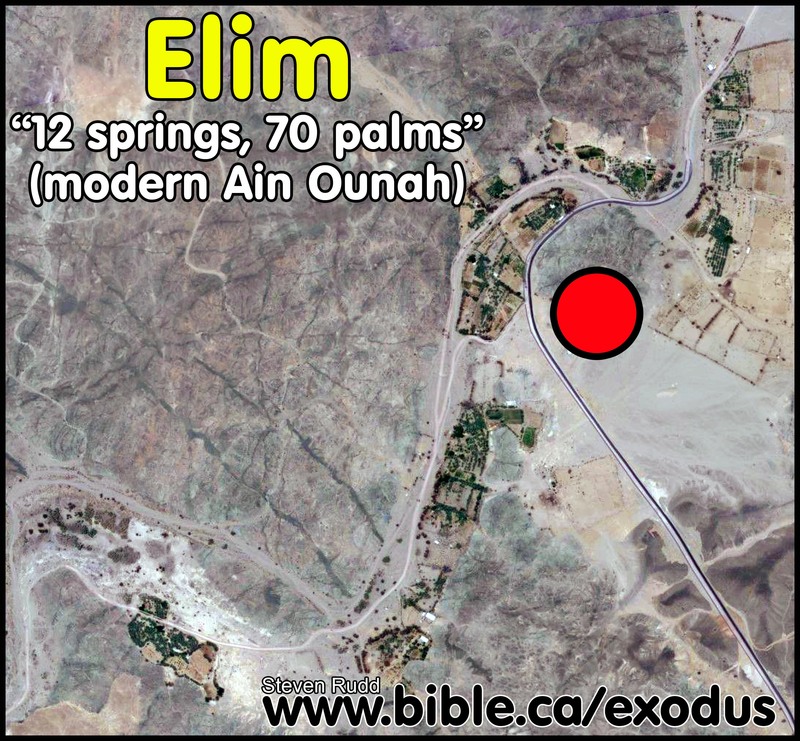 Here is Elim, even today the springs support many trees in the middle of a dry desert. Elim, the wilderness of Sin and the Wilderness of Sinai must all be on the same side of the mountain range. "wilderness of Sin, is between Elim and Sinai" Ex 16:1. 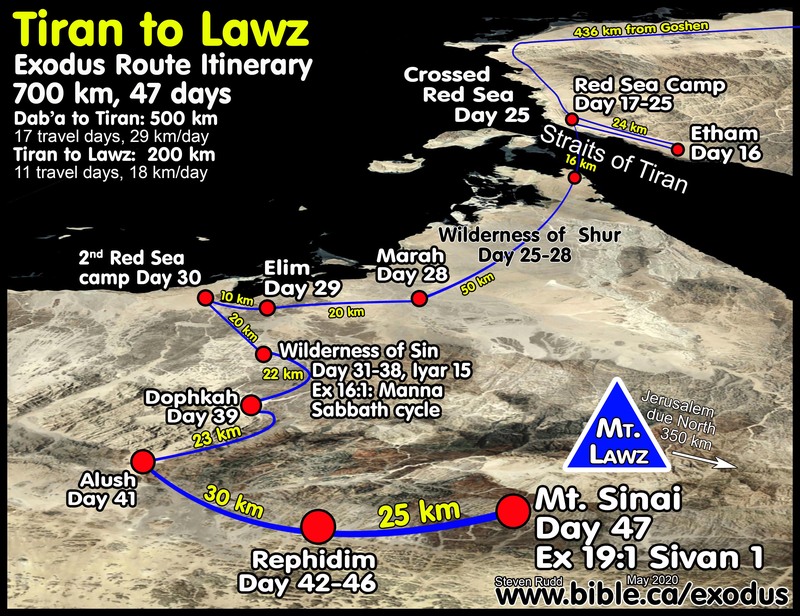 For those who propose an exodus route where Jebel A-Lawz is their choice for Mt. Sinai (we agree) they must locate all three of these on either one side of Mt. Sinai or the other. You cannot have Elim on the west side of Mt. Sinai and the wilderness of Sin and the wilderness of Sinai on the other side.